Avacado Parantha/Thepla/Khakra ….inspiration Trader Joes Nachos!! 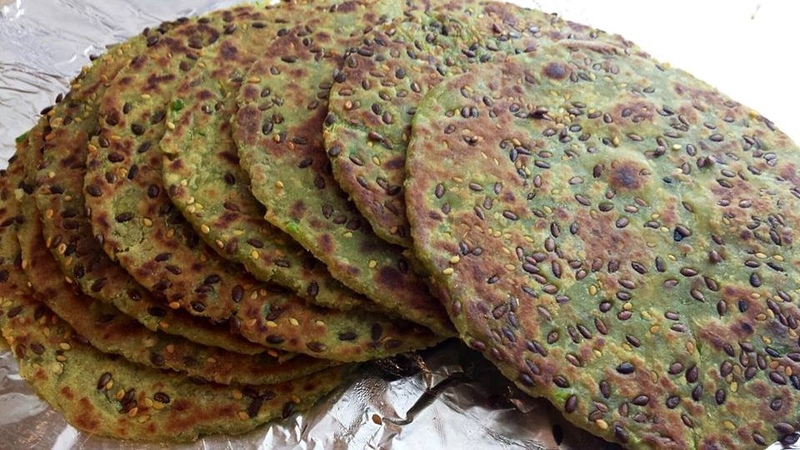 Enjoy these delicious paranthas with your fav pickle! These are great for kids lunch boxes too, as they remain moist without drying out. The Khakras can be stored in an airtight container and can easily last for a couple of weeks or more! Enjoy them as a healthy snack with a cup of tea/coffee! 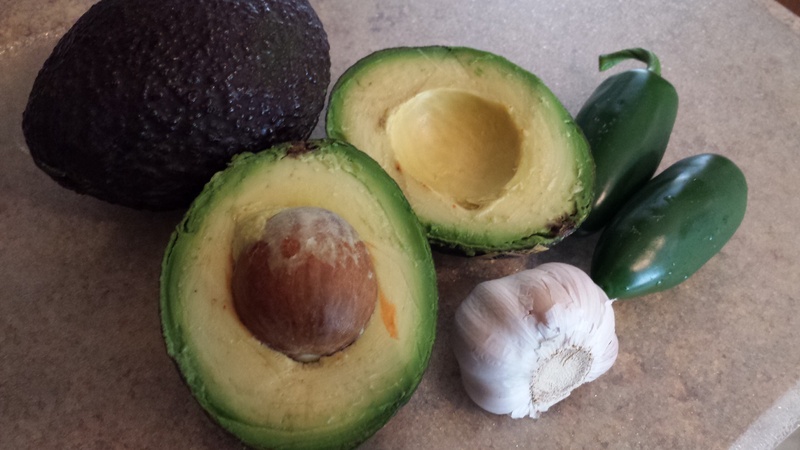 You will need ripe Avacado, jalapenoes/green chillies and garlic. Mash avacados and mix with atta, salt, minced garlic & jalapeños/green chillies, red chilli pwdr, coriander powder and oregano/ajwain to make a smooth dough. 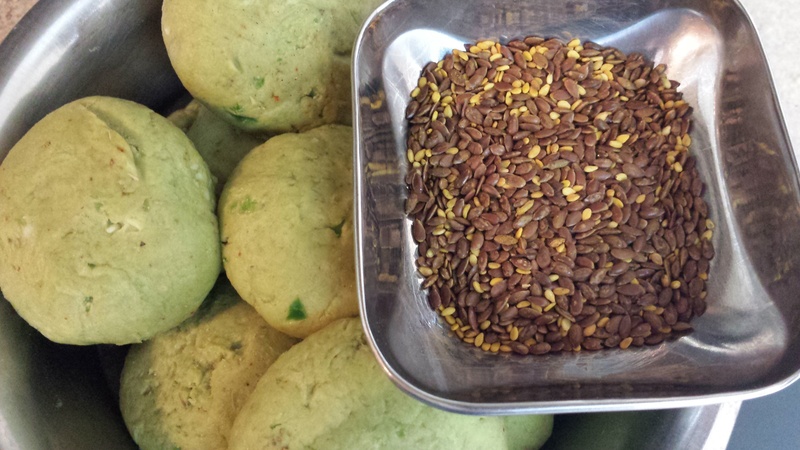 Take small balls of dough, press some flax seed/sesame seeds on them. 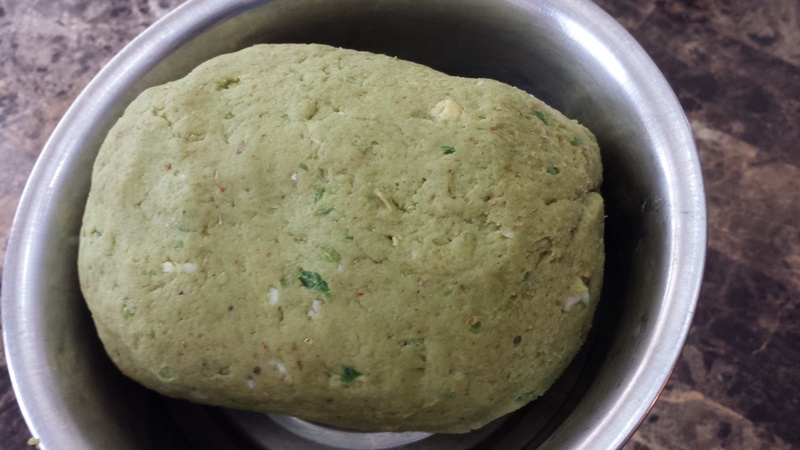 If making Theplas…Roll out into thin rotis and cook on hot tawa with a tsp of oil…..ready! 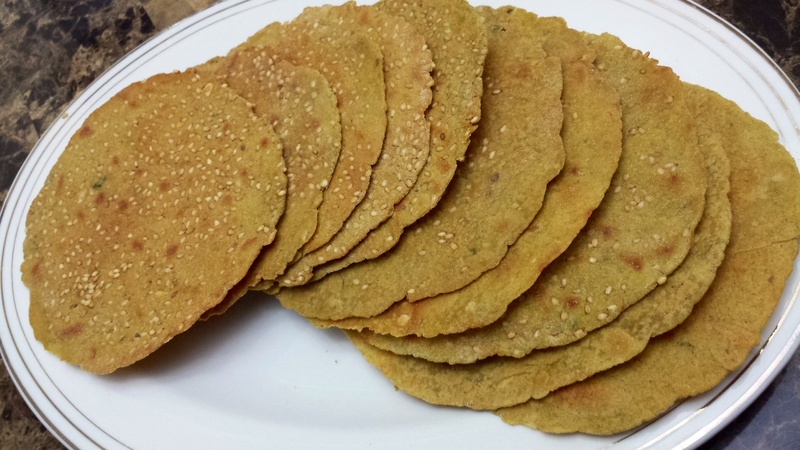 If making Khakras…Roll out into thin rotis. 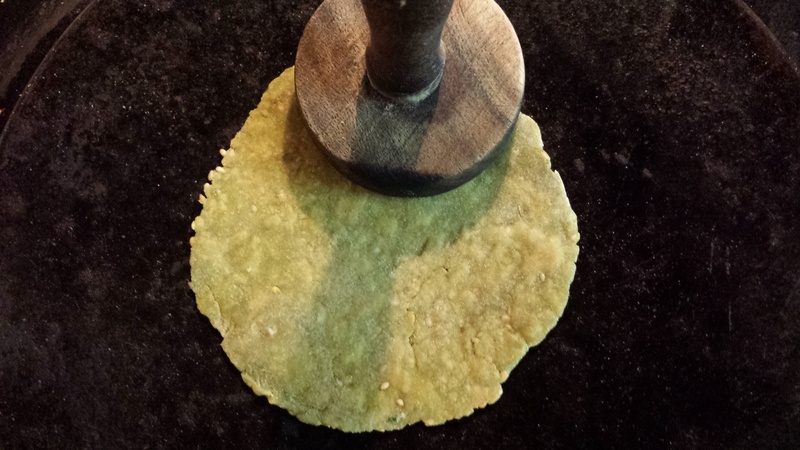 Then using a wooden press, press roti & cook on very low heat…till crisp. Cool, and store Khakras in an air-tight container.